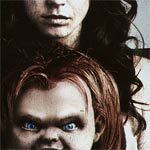 Curse of Chucky isn’t a great horror film but it’s satisfying and a big step up from Bride and Seed and takes the character back to his roots and away from the stand-up comedy routine from the later outings. Fiona Dourif is a delight in the lead role and Maitland McConnell is hopefully on her way to bigger things after this. While I wasn’t overly thrilled with the film, I’m certain fans of the franchise will love it.